This full-day journey lets you discover the secrets of traditional rice cultivation, its religious significance, and how rice culture – planting, growing and harvesting – is linked to temple ceremonies. 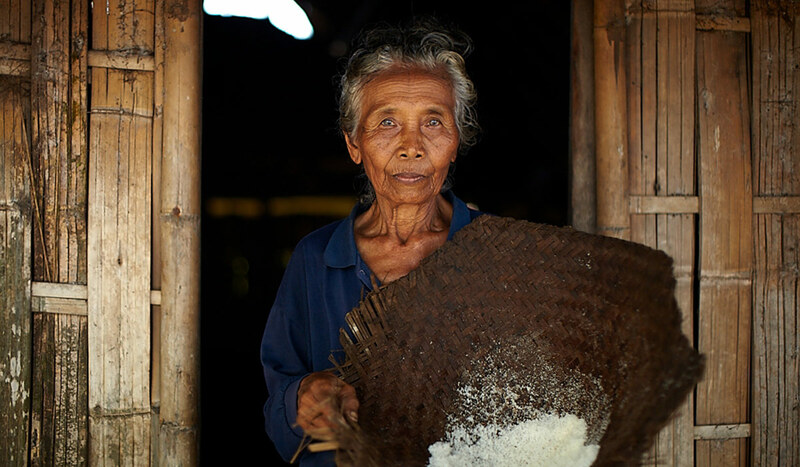 To the Balinese, rice is a direct gift from God, and consequently is treated with the utmost care and respect. The journey begins with a tour of the Subak museum that houses a collection of traditional Balinese irrigation and agriculture tools, continued by a visit of a traditional Balinese house. This is followed by some activities related to rice farming at Taman Buwana Farm. Lunch will be served in a typical Balinese compound. After the meal, you will learn to make traditional offerings, ending the trip with a walk along the paddy fields and terraces. This half-day journey will start with an early morning breakfast, followed by a trip to the bustling traditional market in Kerambitan. You will find everything from exotic fruits, vegetables, spices, seafood, flowers and all the essentials for daily religious offerings.Guided by our Chef, who will share basic local recipes and staple ingredients, select the finest local produce on offer. After shopping, head back to Ombaks’s open-air kitchen and join the Chef in preparing a local dish; savour your culinary creation while enjoying the restaurant’s gorgeous ocean views. This trip will take you to the Jatiluwih area where you will learn about the famed Kopi Luwak. 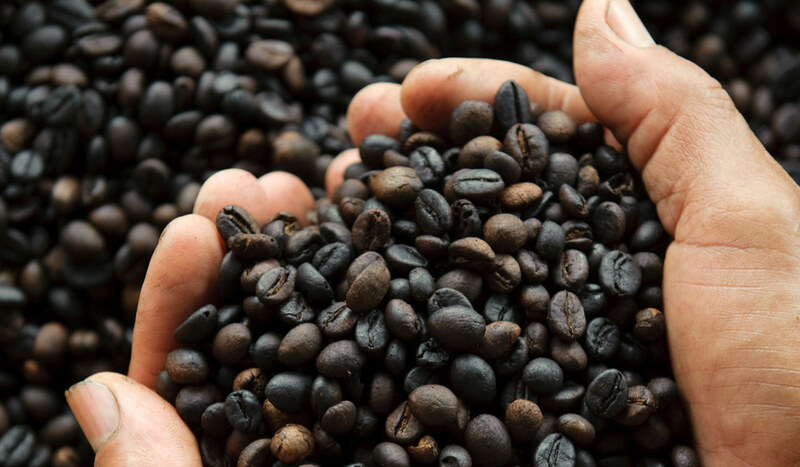 witness the entire production process and savour delicacies made of coffee. 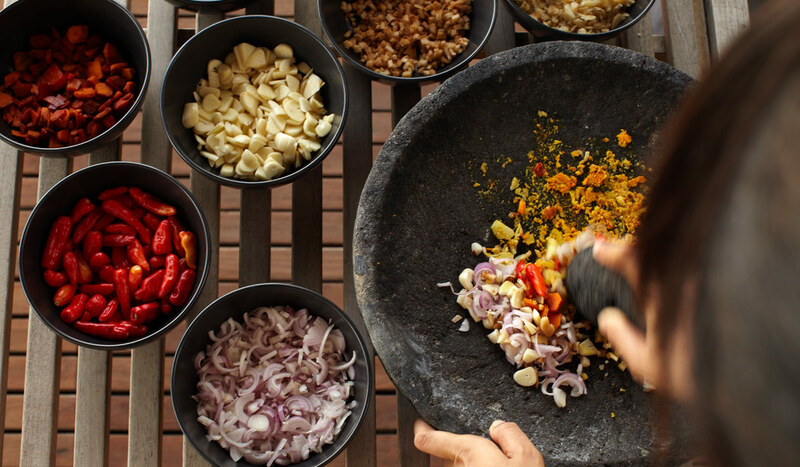 Afterwards, you will explore a terraced cocoa plantation and discover many varieties of Balinese spices. You will be invited to enjoy a cup of coffee or tea in the afternoon while taking in the scenic views of Tabanan Regency’s exquisite landscape. Experience Bali’s untamed beauty through journeys showcasing the island’s most scenic spots. Get acquainted with the techniques and the people behind Bali’s many ancient crafts with this selection of journeys. Specifically created to elevate our guests’ energy levels, these journeys will leave you feeling refreshed and reinvigorated.